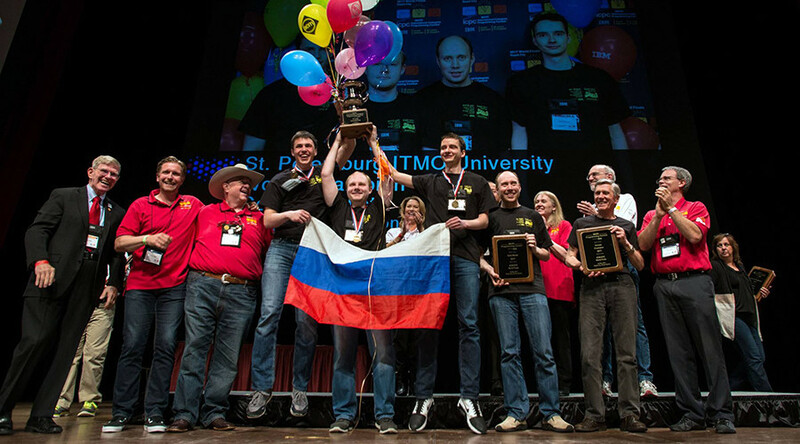 A team of programmers from the St. Petersburg University of IT, Mechanics and Optics have once again won the annual ACM International Collegiate Programming Contest (ICPC), setting a new record with their 7th champions cup. The trio from ITMO took first place in the IBM-sponsored competition held in South Dakota, by solving 10 out of 12 problems in the least amount of time. The Champion Cup of 2017 was raised by students of the department of computer technologies – Vladimir Smykalov, Ivan Belonogov and Ilya Zban. “I’m still shaking a bit after the contest because our team was in the lead almost the whole time but it’s always tight in the end, so the final hour is the most important in this contest and it’s very nervous,” ITMO coach Andrey Stankevich had said before the winners were announced. “Demonstrating the elite talent of its team members, St. Petersburg ITMO University successfully solved 10 problems to earn the victory,” organizers said following the award ceremony. “Our team won six times before this, it’s the 7th win for ITMO University and it’s a great result,” Ivan Belonogov said. The victory means that ITMO has conquered their opponents for the 7th time in the past 15 years. “These kids are writing solutions to the problems in three minutes. It’s ridiculous, and I love that because that’s what happens when kids get turned on to problem-solving and they have the resources and the courage that they need and they have the coaching that they need and they work on it throughout the year,” the contest’s executive director, Bill Poucher, said. A University of Warsaw team grabbed the second gold prize by solving the same 10 problems but over a longer time period. Seoul National University secured the third gold and became Asia regional champions. Apart from ITMO, two other Russian universities made the top five that solved the 10 out of 12 tasks. St. Petersburg State University team secured the fourth gold prize while the Moscow Institute of Physics and Technology emerged with a fifth best and a silver prize. The competition brought together the brightest young developers from 133 universities around the world. Headquartered at Baylor University, the so-called ‘Battle of the Brains’ competition placed teams of three students against each other, tasking them to solve a series of complex “real-world problems” in just five hours. 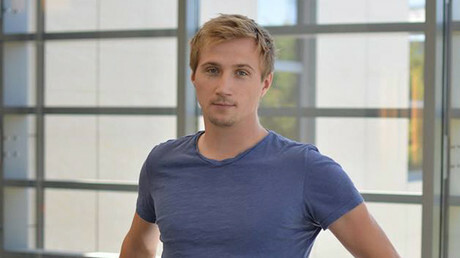 “IBM values this opportunity to assemble the brightest students from the world's leading universities and share with them the technology trends that will shape the future and allow them to build new innovations fueled by cloud, cognitive and more,” said Jonas Jacobi, Vice President, IBM Developer Advocacy. “These students are the future leaders of our industry and we are committed to fostering their development with these critical technologies as they prepare to enter the global workforce,” Jacobi added.